Silver catfish (Rhamdia quelen) is a fish species with neotropical distribution, and is a potential model organism to study polluted environment. 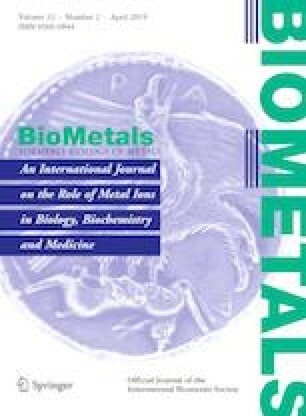 The aim of this study is to analyze the response of silver catfish to environmental concentrations of waterborne zinc (Zn) over 96 h. Significant metal accumulation was seen in gill, intestine and liver tissues. No significant accumulation was seen in muscle tissue. Lipid peroxidation increased in the brain, and decreased in the muscle and liver at all levels of exposure. Zinc exposure led to decreased protein carbonyl levels in the brain and increased levels in the liver. The activity of catalase in the liver was reduced for all exposed groups. Glutathione S-transferase activity decreased in the brain at the highest level of exposure and in the liver at all Zn concentrations tested. Non-protein thiols increased in the muscle and in the gills after exposure. Ascorbic acid levels increased in the brain and in the gills. Exposure to Zn also altered the metabolic parameters, causing decreased lactate and ammonia levels in the muscle, and decreased glycogen in the liver. Zinc exposure increased ammonia and amino acid levels in the liver, and increase glycogen and amino acid levels in muscle tissue. Our results demonstrate that exposure to environmentally relevant concentrations of Zn led to accumulation of metals in the tissues of silver catfish, with significant changes in biochemical parameters. This study was supported in part by the Coordenação de Aperfeiçoamento de Pessoal de Nível Superior - Brasil (CAPES) – Programa PROEX Protocol Number: 23038.005848/2018-31. Student Jossiele Leitemperger received fellowship from CAPES under Protocol Number 88882.182137/2018-01 and student Tiago Fiuza received fellowship from CAPES under Protocol Number 88882.182157/2018-01. Vania Lucia Loro received research fellowship from CNPq under Process Number: 309314/2017-8.